Cynthia, who has specialized in Locking since 2005, first of all started dancing with jazz and ballroom dancing. For 10 years she has practiced rock dance in all its forms: rock on the ground, be-bop, acrobatic rock. 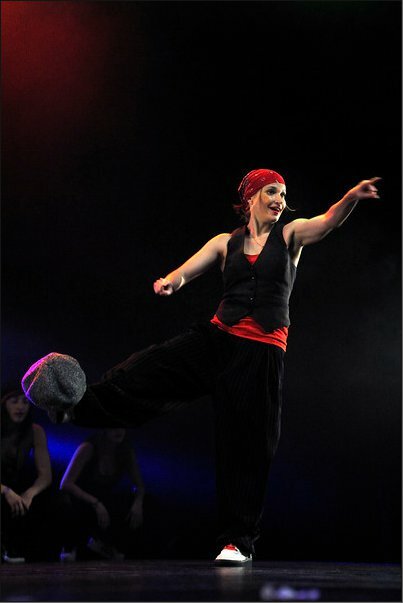 Participating in numerous competitions of acrobatic rock, joined the French acrobatic rock team in 2003 and in 2004, reaching the 3rd place at the 2003 French championships. In 2004, she discovered the Hip-hop universe and then joined the Scoobim’ Dooz group. She will be interested more particularly in locking dance, stemming from funk., which allows her to find and to be inspired by Charleston’s movements and rock. In 2006, she co-founded the Terpsyfunk company as a trio. Moreover, she created a show built mainly on the influences and inspirations of locking, mixed with tap dance and wacking. This show, entitled “Rythm‘nlock”, will allow them to win the Cachan choreographic competition in 2007. 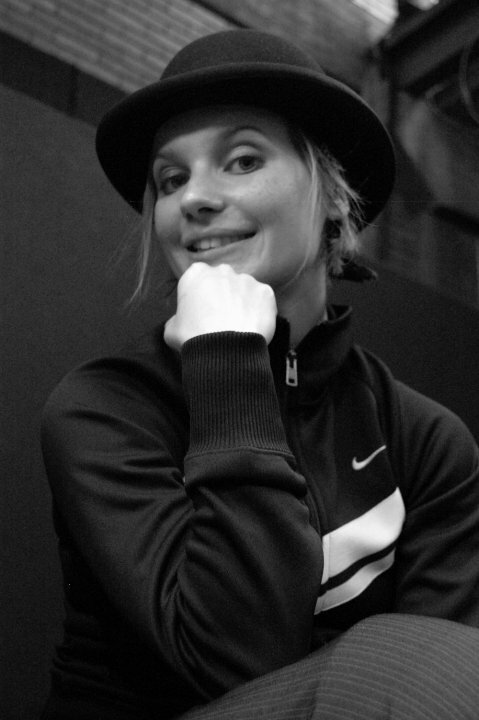 In 2009, Cynthia met The choreographer Séverine Bidaud and joined the 6th Dimension dance company for its new 2010 creation “I feel good”. This project allows her to approach Hip-Hop dances differently and also allows her to develop locking in another way within a team in which each dancer has her own discipline. Since 2010, she has participated in different locking shows with “Les Virtuoses de l’instant” group, which includes the Locking specialists in France, for various events (Animation Samsung at the photo show Festival, TV broadcast on France O…).